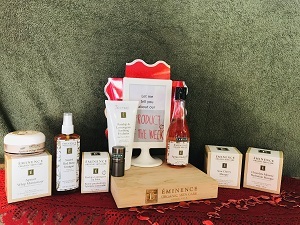 We have chosen some of our wonderful Eminence Products to make your skin radiant for Valentine’s Day and beyond. Start using these products today to hydrate your winter skin. Please call to have any questions answered or stop in and we will help you select products.